Legacy garden will be constructed in South Glenmore Park. It was announced today that a very special legacy garden will be constructed in South Glenmore Park, with the groundbreaking taking place later this spring. The Quinterra Legacy Garden will celebrate five inspiring young people, Lawrence Hong, Josh Hunter, Kaitlan (Kaiti) Perras, Jordan Segura, and Zackariah Rathwell, whose lives were lost on April 15, 2014 in the quiet suburban neighborhood of Brentwood in Calgary. The garden will be the city’s first fully dedicated music garden and intimate performance space, designed in a vibrant, green area to create community, build harmony and celebrate life. 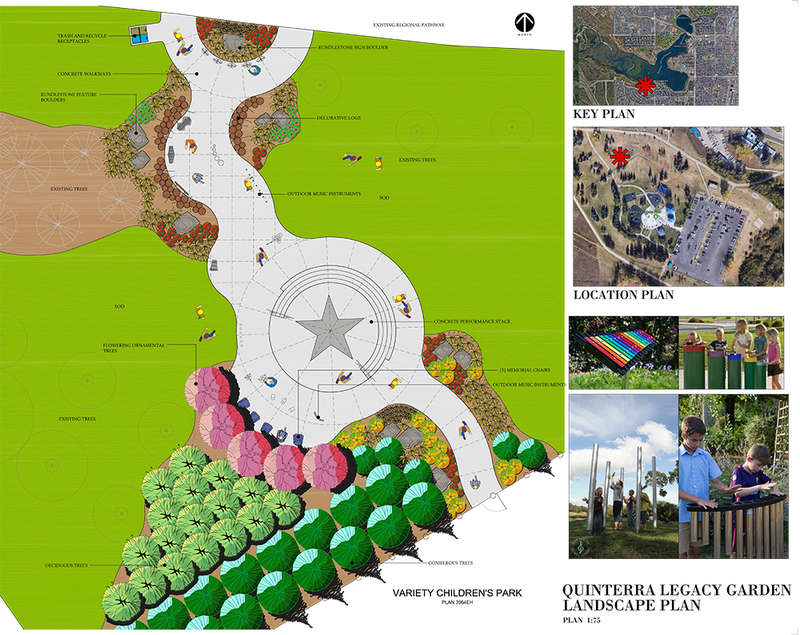 The Quinterra Legacy Garden Group is a community of families and friends of the five lives lost in the 2014 tragedy. To build a strong community, the Quinterra Legacy Garden will support the arts through creativity, mental health through meditation and healing, youth through play and inclusivity, strong families through community and discovery and will give back to Calgary with a new amenity for the public to enjoy. The garden will have ongoing programming and will be a local spot for intimate performances and activities such as drum circles, yoga and reading groups. Interactive music instruments, supplied by Percussion Play and Freenotes Harmony Park, will be placed throughout the garden to add energy and harmony to the Quinterra Legacy Garden. The park will include elements representing the five individuals lost, reflecting each of their personalities through inclusivity and the arts. Visitors of the garden will feel a sense of belonging and warmth, radiated by the pieces built within the space. Design elements will embrace motifs that represent the number five—five branches, leaves and roots in the garden logo; a five-pointed star on the performance stage; and five chairs placed in front of five flowering trees planted in the garden. The Quinterra Legacy Garden Group is partnering with the City of Calgary Parks Department, Parks Foundation Calgary, Bassett Associates Landscape Architecture and the Prophets of Music. The Quinterra Legacy Fund has been developed to further support the garden and is seeking contributions to meet its goal of raising $800,000. Charitable tax receipts are provided for any donations given for the garden.